It’s not a good time to be a bike builder in Portugal at the moment: The country is finding it much harder than most to recover from the depression. So it’s reassuring to see a quality custom build coming from the westernmost country of Europe. 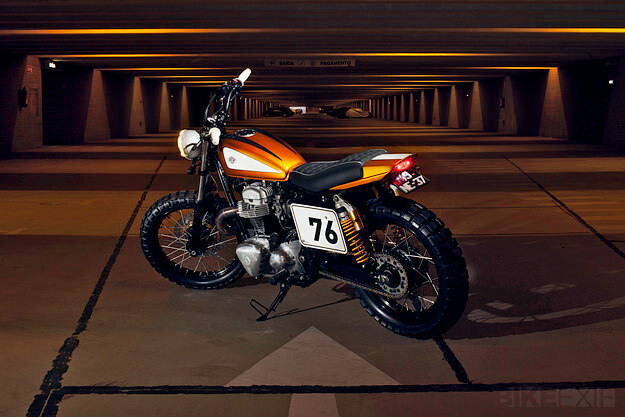 Pedro and Daniel of Ton-Up Garage are both keen enduro riders, and they’ve long wanted to build a street tracker. 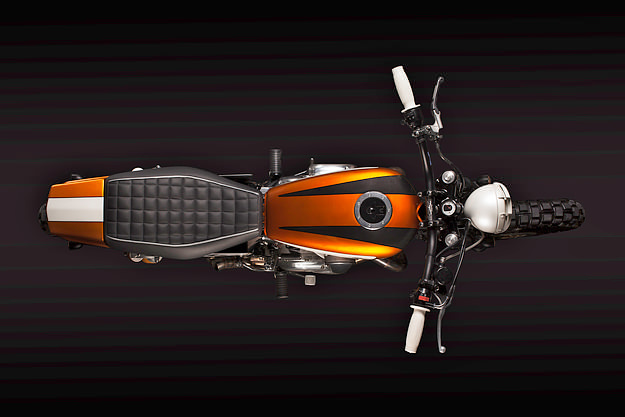 “Our ambition was to build a motorcycle that’s ‘in the middle’—between road and off-road,” says Pedro. 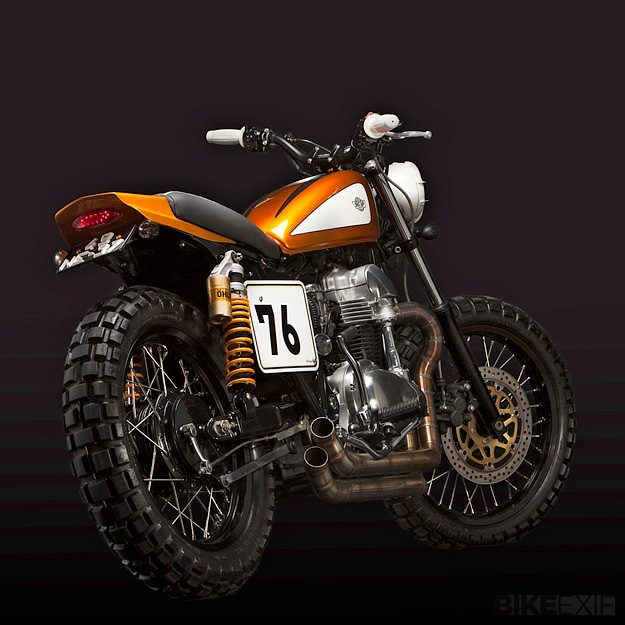 ‘Gold Digger’ started life as a 2004 Kawasaki W650. 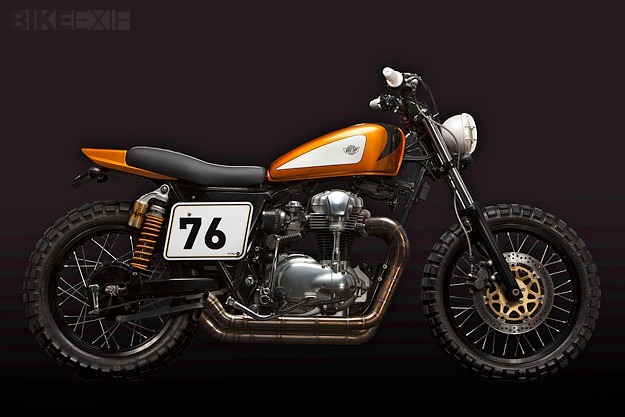 It’d already been lightly customized, but that didn’t deter the Ton-Up boys. They shortened the rear subframe and added a new seat unit and side panels. The bulky stock tank was swapped out for a slimmer, more rakish design. Ton-Up cleaned up the front end with a smaller headlight painted in white to match the new grips. The instruments and blinkers were also swapped out for smaller items. 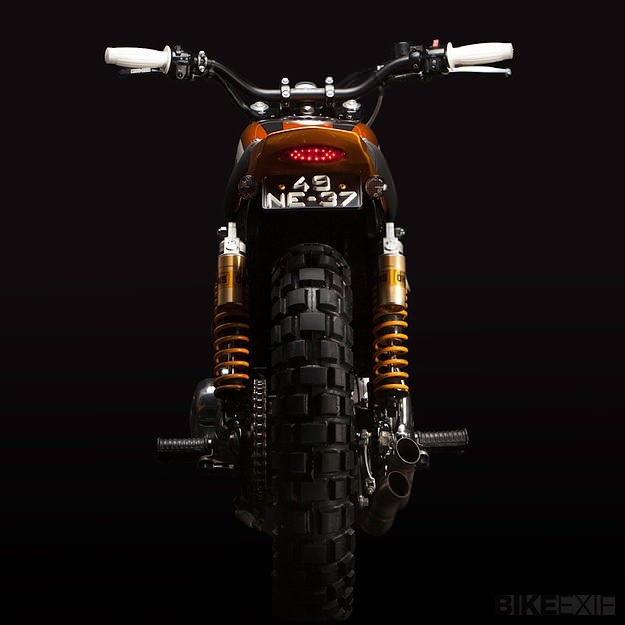 At the back, Öhlins shocks keep the rear wheel planted. The front brake system has been upgraded for greater stopping power, and the wheels have been painted black and fitted with off-road rubber. 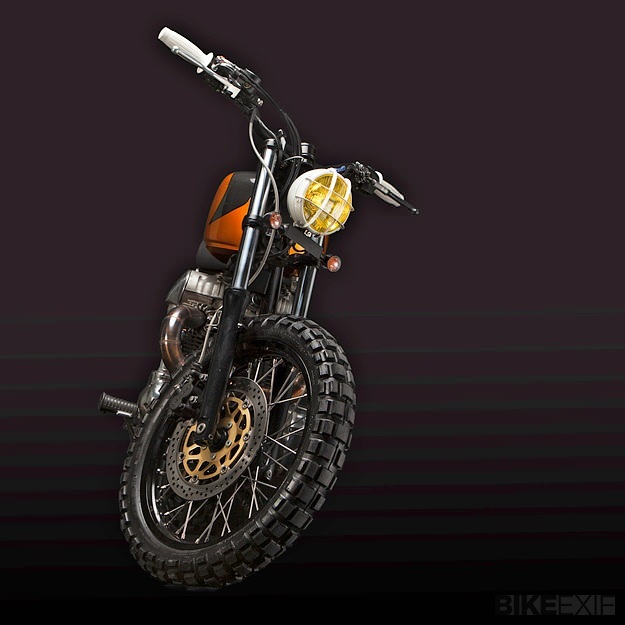 The exhaust system is a custom fabrication, simple and sleek—the bare minimum required. The paint is the icing on the cake: three luxurious matching tones of black, gold and pearl white. Bonito, não? Images courtesy of Joel Bessa. Follow the latest news from Ton-Up Garage via their website and Facebook page.